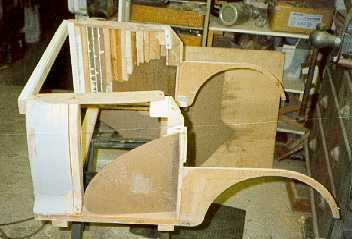 scratch with wood and much filler. 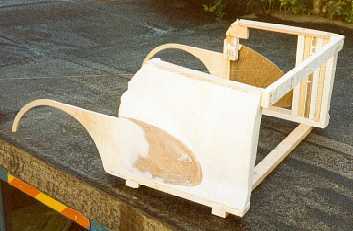 Body Fibreglass, original buck made from wood, fibreglass and filler. 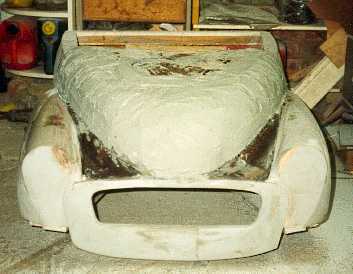 then covered with filler and shaped. The basis for the front was again flat panels. 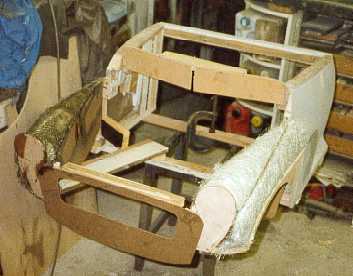 A similar method was used on the bonnet plus lots of filler. After much filler and rubbing the finished buck was produced. 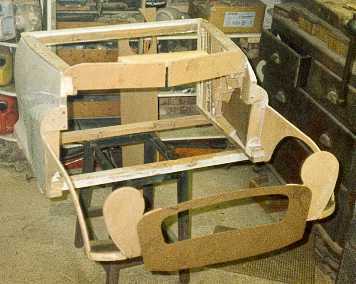 Now a mould is required so bodies can be produced.